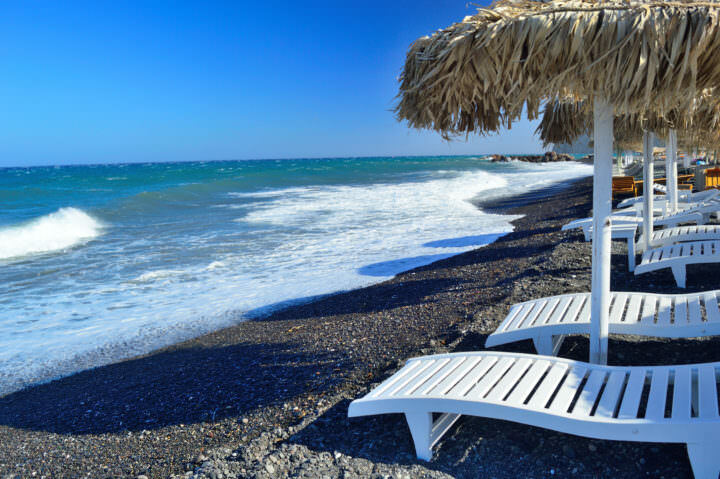 Before you can actually get to Kamari Beach, you need to first make your way to Santorini. To do that, you can either take a ferry or a flight, depending on where you originate. Most people find that traveling by plane is a convenient option, but that the ferry can be a fun, traditional experience. Make sure that if you do take a flight, you have transportation arranged for you at the airport. There is a limit as to how many taxis are allowed on the island due to environmental concerns. 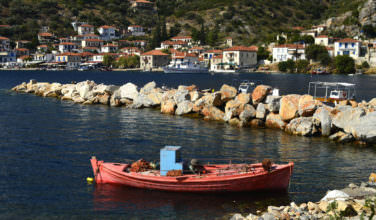 Once you arrive on the island, you can make your way to the resort of Kamari where the beach is located. 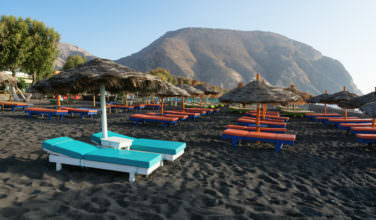 To give you a from of reference, Kamari Beach is about ten kilometers south of Fira, the capital city of the island. There are some nearby resorts to Kamari Beach but you can easily reach it when you stay close to Oia or Fira. It is actually the perfect day trip. 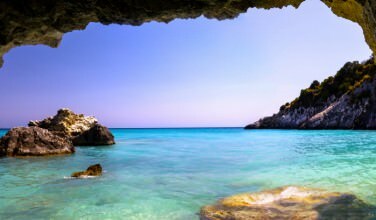 Kamari is far from the typical Greek beach. As is the case for most of the beaches on the island, Kamari shows evidence of volcanic activity because of its black sand. Thousands of years ago, lava hardened and eventually turned into sand so that beachgoers today could enjoy it. It may look pretty, but the sand does pose some complications when trying to walk. The dark color absorbs the heat from the sun and it can burn your feet. Be sure to wear shoes while walking! The main thing to do on this beach is to sit back, relax, and enjoy the beautiful weather. There are sun beds ands umbrellas to rent that will make your stay here especially enjoyable. The water is crystal blue and pretty for both gazing at and for swimming. Because of how beautiful the beach is, it does get crowded during peak tourist season but that won’t be too much of an issue of come early enough to reserve your spot. You also might want to consider traveling a little off peak in May, September, or October. The weather is still great for the beach but there won’t be as many people. Since the beach is organized there are also facilities here to make your stay even more enjoyable. Because of the unique geography of Santorini, there actually aren’t as many beaches here as there are on some of the islands. That shouldn’t stop you from visiting! Kamari Beach is worth the trip.